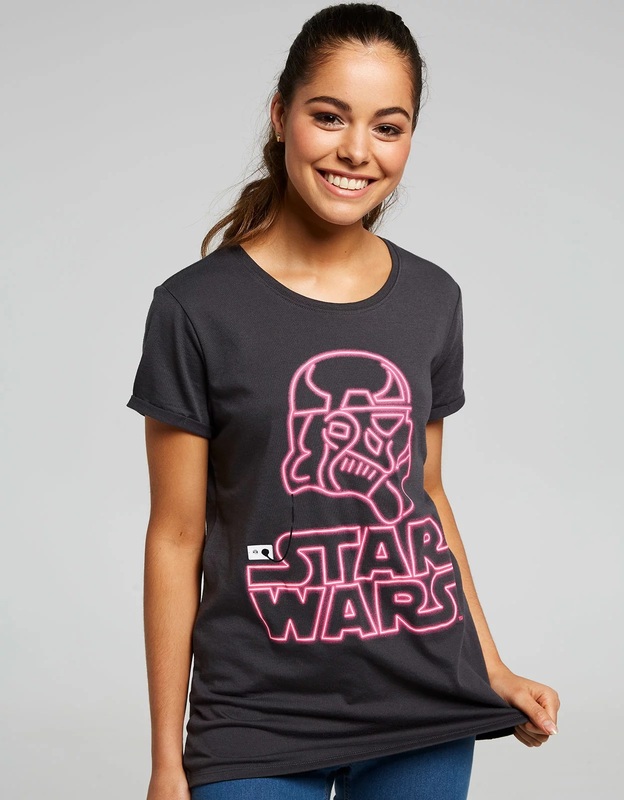 Australia/New Zealand based store Jay Jays has 2 new women’s Star Wars t-shirts available. 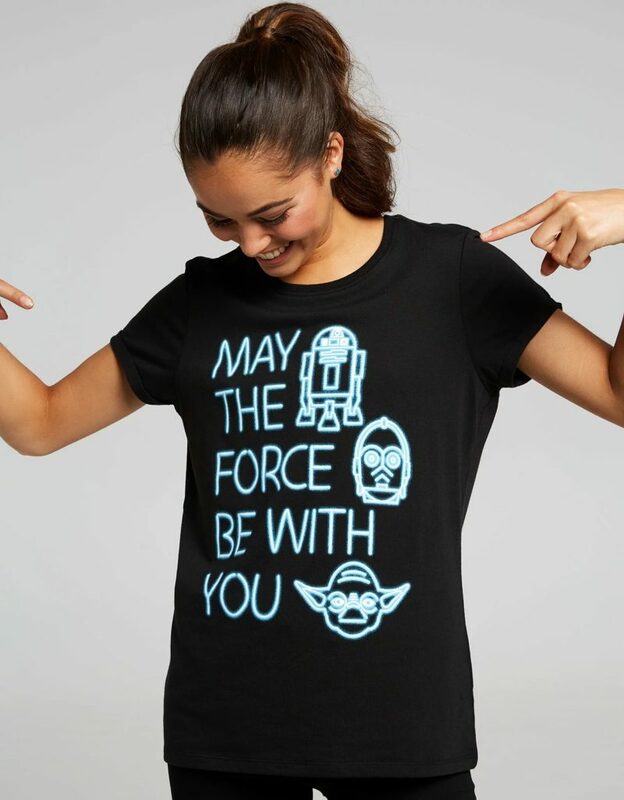 The first is a charcoal grey t-shirt with a pink neon print of a Stormtrooper helmet with the Star Wars logo, while the second is a black t-shirt with a blue neon print of the classic Star Wars quote ‘May The Force Be With You’, alongside little images of R2-D2, C-3PO, and Yoda. Both shirts are made from 100% cotton. 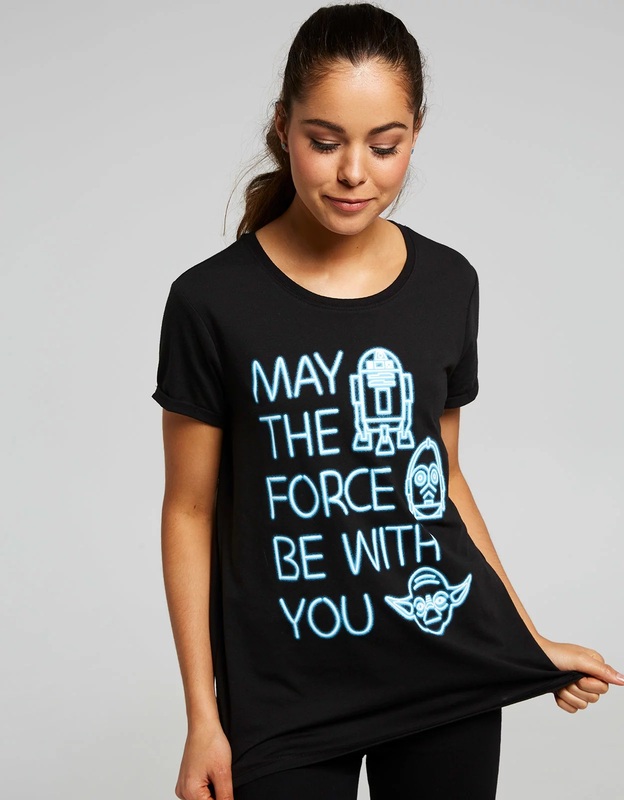 May the force be with you in this black Star Wars tee with neon blue print detail. 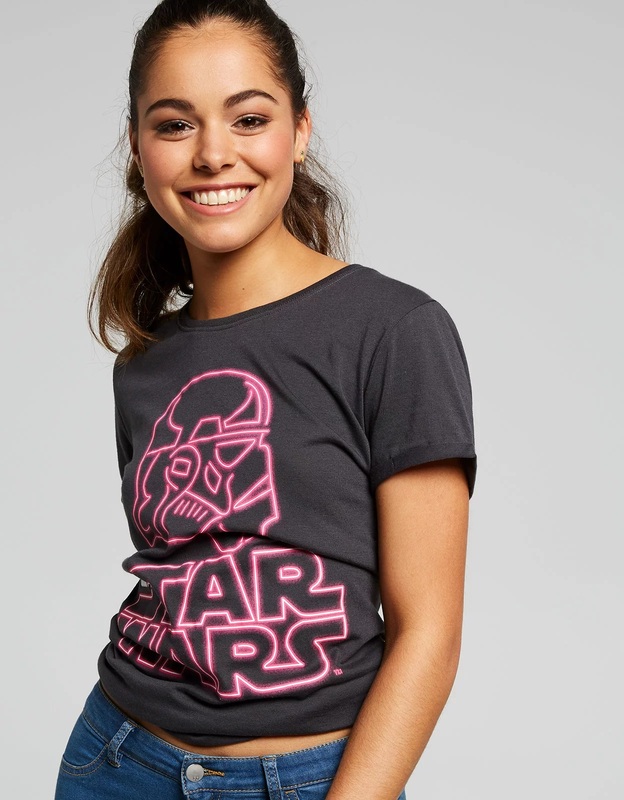 Perfect comfy tee to wear as you re-watch the whole saga yet again. 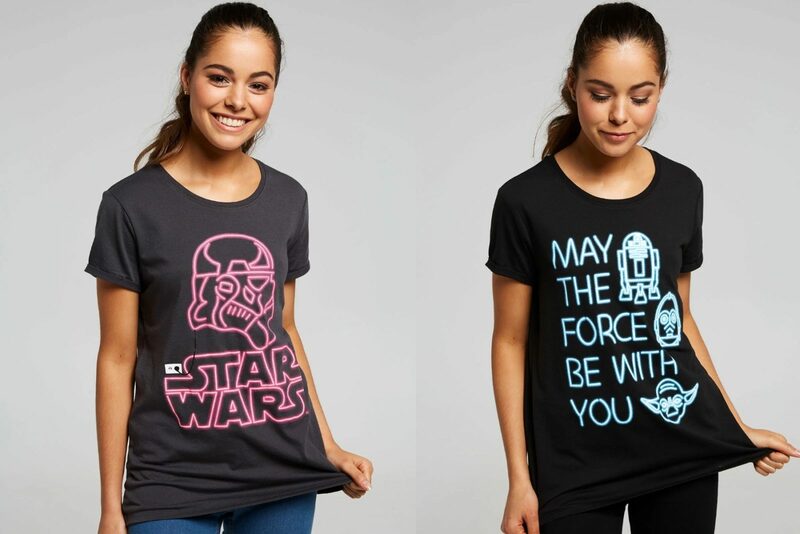 Available in Australian women’s sizes XXS to XL, the t-shirts are priced at AUD$25.00 each – they are currently included in the ‘buy one, get one 50% off’ promotion. On-line orders from Jay Jays are processed from Australia (all prices are in AUD), but they do ship internationally. 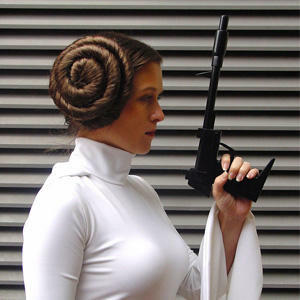 Photos sourced from and belong to Jay Jays.